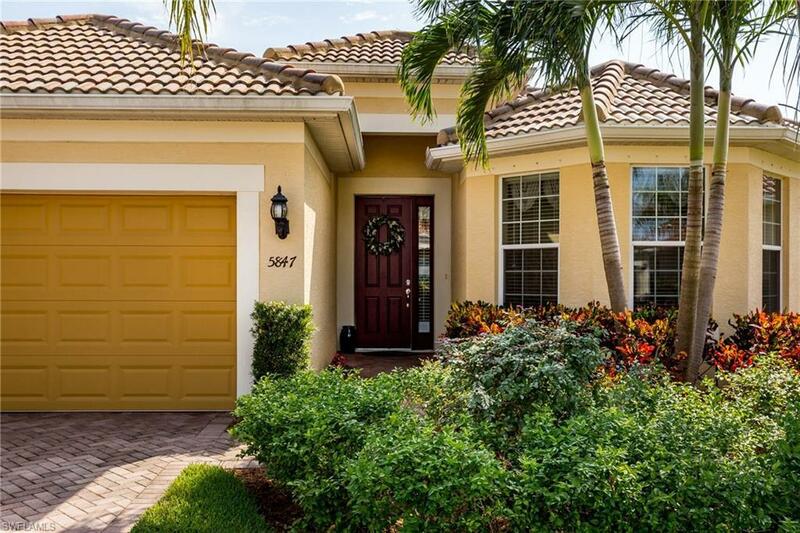 This Popular Vernon Hill Model sits on a premium lot with golf & water views. 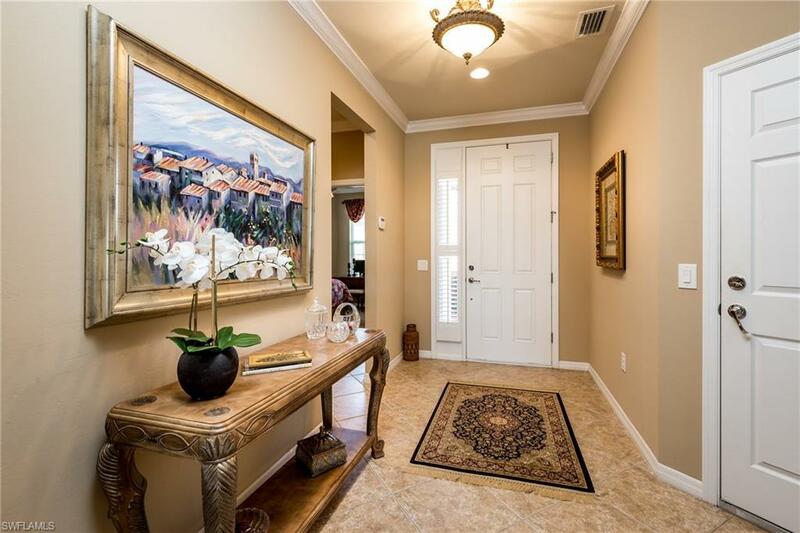 A Del Webb residence, in a 55+ community, thoughtfully priced and offering many upgrades. 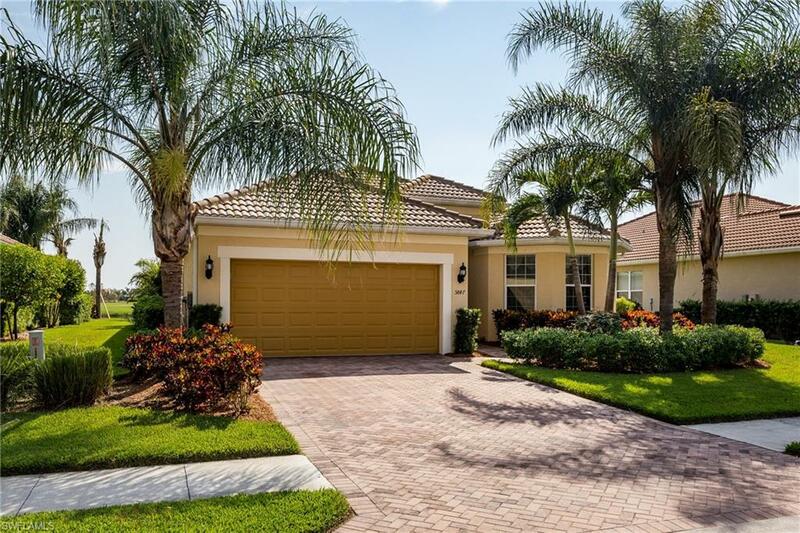 This home with beautiful landscaping has been meticulously maintained. Special highlights include: 3 bedrooms+den, 2 full baths, custom molding entire home, 5 ft. garage extension with sealed garage floor (roll-on-rock system) and garage insulation. Custom cherry cabinets in kitchen and bathrooms. Custom granite, counter depth refrigerator, stainless steel appliances. Ceiling fans in all rooms. Closet organizers in all closets, 3" blinds on all windows. Diagonal tile in great room, den, kitchen, master bedroom, baths. Also, full house gutter wrap, electric hurricane shutters on the screened in lanai with lovely paver/patio addition for grilling & other outdoor activities. Wired with an alarm system. Custom light fixtures; large walk in shower in the Master Bath. Located in an ideal location close to the Oasis Club offering resort style amenities. 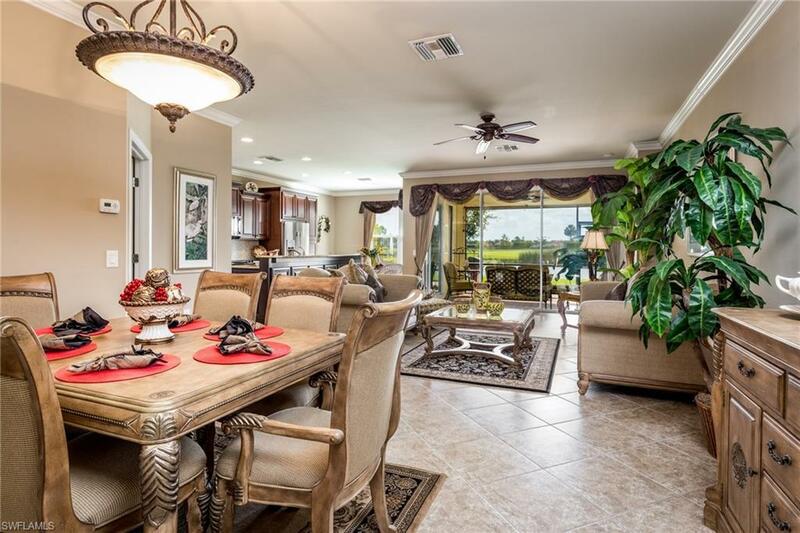 Golf at the public/private golf course $ enjoy dining and shopping venues in Ave Maria just minutes away.